If you're looking for the classic set of pearls, look no further. The Akoya is the most popular pearl, commonly seen in pearl strands and earrings. At O'Halloran Jewelers, we offer two collections of Akoya cultured pearls: premier and classic. We also offer golden Akoya cultured pearls. While there is no standardized grading for Akoya pearls, O'Halloran's Jewelers ensures that each pearl meets our high-quality standards. The first pearls to be cultured early in the 1920s, Akoya pearls are white in color with a rosé overtone, which complement a fair complexion. Because Akoya pearls are high in quality, you'll find them set with gold posts and clasps. They are well matched for size, shape and color with few blemishes and a deep, beautiful luster. While there is no standardized grading for pearls, we ensure that each pearl meets our high-quality standards. You will find education related to each pearl type we offer. We encourage you to learn more about the differing qualities in each. The general color of a pearl is also called the body color. Typical pearl colors are white, cream, yellow, pink, silver or black. 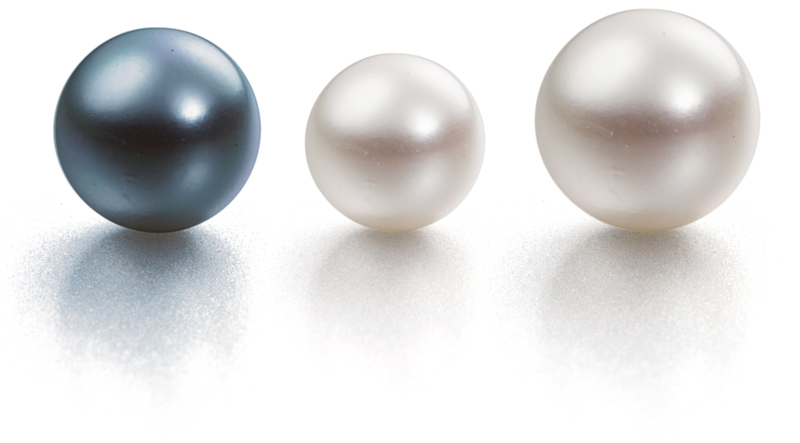 A pearl can also have a hint of secondary color, or overtone, which is seen when light reflects off the pearl surface. For example, a pearl strand may appear white, but when examined more closely, a pinkovertone may become apparent.